COLLECT Dried Nettles – from the far end of the Quidditch Pitch. COLLECT a Galleon – in back of the sleeping person (I assume this is Madam Hooch?). You can get Madam Hooch to snore by moving your cursor. COLLECT a Chocolate Frog Card for Cyprian Youdle (the only referee ever to die during a Quidditch match – killed by a curse) – on the ground in the front row of the stands. Move your cursor to help Ron fly Harry’s thunderbolt. At one point, you can even get him to loop-the-loop through one of the goalposts! UNLOCK “The Firebolt” (JKR-Exclusive Content) by clicking on the third goalpost. This is fantastic information about Harry’s broom! Another delightful Stephen Fry or Jim Dale audio reading, complete with the McGonnagall voice. COLLECT a Chocolate Frog Card for Alberic Grunnion (inventor of the dungbomb) – next to the trunk at the foot of the bed. COLLECT Toothflossing Stringmints (for your dental hygiene needs) – from the left side of the trunk. Move cursor to make the green thing move and make noise. (Does anybody know what this thing is called?). Moves the scene to the left. I’m not finding anything to collect here. I hope commenters find something! 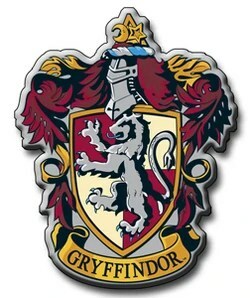 Move cursor to middle bed to watch the scarlet Gryffindor bed curtains fall. COLLECT a galleon – from the trunk at the foot of the bed to the left. COLLECT dungbomb (Peeves will be so thrilled!) – from the top of the chest next to the bed to the right. Double-clicking after this just reverses the zoom levels. Dementor voices and rain noises. See Dementors on the ground looking up at Harry. I don’t think there’s anything to find here. Stephen Fry or Jim Dale reads the scene from the audiobook. Selection ends with Harry remembering his mother’s scream. Move cursor to get Harry to chase the snitch. That’s all! There does not appear to be anything to collect in this chapter. “Do you think they’ll attack us if we cross the room?” said Ron. The Trio have now reached Professor Flitwick’s protection for the Stone, a protection involving keys that have been charmed to behave like a flock of birds. We have briefly met Professor Flitwick in the classroom. When he first reads Harry Potter’s name on his roll sheet, he squeaks and tumbles out of view. On Halloween, while Hermione famously pesters Ron over the proper way to say “Wingardium Leviosa,” Flitwick claps his hands and cries “Well done!” after she successfully levitates a feather four feet into the air. Flitwick could not even contain himself from confiding in Hermione that she had received 112% on his exam. And this information – coming on the day that the Trio decide to go through the trapdoor – leads Hermione to conclude that (in terms of potential expulsion, at least), it is positively safe for her to go sneaking around the castle after curfew in order to protect the Stone. Filius Flitwick is an excitable, and rather charming, little man who makes First Year students demonstrate a capacity for making a pineapple tapdance across a desk. But he’s also quite formidable in his own way. 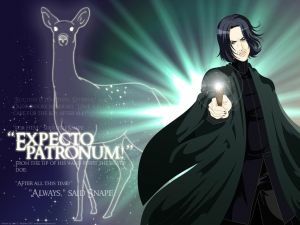 He is a retired Dueling Champion and Head of Ravenclaw – meaning that we should expect a certain amount of ingenuity in his protection for the Stone. The beauty of his protective Charm – aside from the sheer physical beauty of the metallic flock – is that it involves both consideration in working out the task and performance in catching the right key. In fact, in their initial analysis of the task, Harry and Ron get it all wrong. The keys (which they still think are birds) are not charmed to attack. They are charmed to perform like hundreds of Golden Snitches. That is, they will fly swiftly away from whoever tries to catch them. Consequently, identifying and then catching the right key requires Seeker skills. To identify the relationship between the winged objects and the door that must be passed through (i.e., recognize that the objects are keys, not birds). To identify the exact key – among hundreds – that must be caught in order to pass through the door. To find and mount a broom – and be a good enough flyer to stay mounted while zooming around trying to catch the right key. To figure out a strategy for catching the key. This final element requires speed, agility, and (in the case of the Trio) teamwork. The entire purpose of Harry’s position at Quidditch is to catch the Golden Snitch. But what exactly is the Snitch? Okay, we know that it’s a small, winged metal ball. But more than that, it’s a small, winged metal ball that mimics the size, shape, and swift, erratic movements of the Snidget – a bird so fast and so talented at hiding itself from predators that few Muggles have ever seen it. Classified as a Magical Creature, the Snidget has a XXXX MoM rating thanks to the penalties now attached to its capture or injury. But how and why did those penalties come into existence? Well, around the early 11th century, hunting the elusive bird became a favorite sport among Wizards and Witches. Snidget hunting finally crossed paths with Quidditch in the late 13th century when a Wizarding official released a Snidget into a game of Quidditch. From that time on, the Snidget hunt became a part of the game – excellent for Quidditch, but not so excellent for the small bird. The invention of the Golden Snitch is credited to the wizard Bowman Wright of Godric’s Hollow. While Quidditch teams all over the country tried to find bird substitutes for the Snidget [which was now on the brink of extinction], Wright, who was a skilled metal-charmer, set himself to the task of creating a ball that mimicked the behavior and flight patterns of the Snidget. That he succeeded perfectly is clear from the many rolls of parchment he left behind him on his death (now in the possession of a private collector), listing the orders he had received from all over the country. [Each of the members of the Trio] seized a broomstick and kicked off into the air, soaring into the midst of the cloud of keys. They grabbed and snatched, but the bewitched keys darted and dived so quickly it was almost impossible to catch one. We don’t know from the passage if Flitwick gave the keys’ wings the rotational joints found in the wings of Snidgets (and by extension, Snitches), but it seems reasonable to assume that the idea of charming metal to perform like swift, elusive birds (catchable only on broomstick) would be inspired by the greatest of all Wizarding sports. [Harry] took a deep breath, covered his face with his arms, and sprinted across the room. He expected to feel sharp beaks and claws tearing at him any second, but nothing happened. Compare Ron and Harry’s anxiety with the charmed bird attack that actually does occur in HBP. Harry spun around to see Hermione pointing her wand at Ron, her expression wild: The little flock of birds was speeding like a hail of fat golden bullets toward Ron, who yelped and covered his face with his hands, but the birds attacked, pecking and clawing at every bit of flesh they could reach. Given this later incident, I think it rather signficant that it’s Ron who asks in PS/SS if Flitwick’s “birds” will attack. It serves as foreshadowing for that moment nearly 6 years later when a very hurt and jealous Hermione finally does set birds on Ron – birds that she conjured as practice for Flitwick’s NEWT-level Charms class. So my question is this: When Hermione set those birds on Ron, might she (consciously or unconsciously) have remembered Ron’s concern about being attacked by charmed keys that initially appeared to be birds? 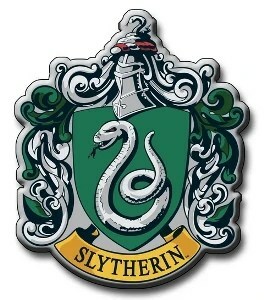 Regardless of the answer to that question, there is nothing vicious about Flitwick’s flock of keys. The Charms protection for the Stone seems (like Flitwick himself) rather more genial than the Devil’s Snare. 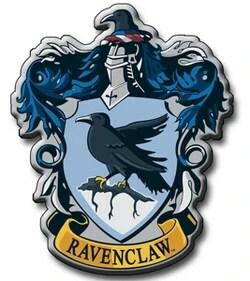 Yet it still requires considerable thought and skill to achieve a successful outcome – qualities that one would expect from a spell produced by the Head of House for Ravenclaw.